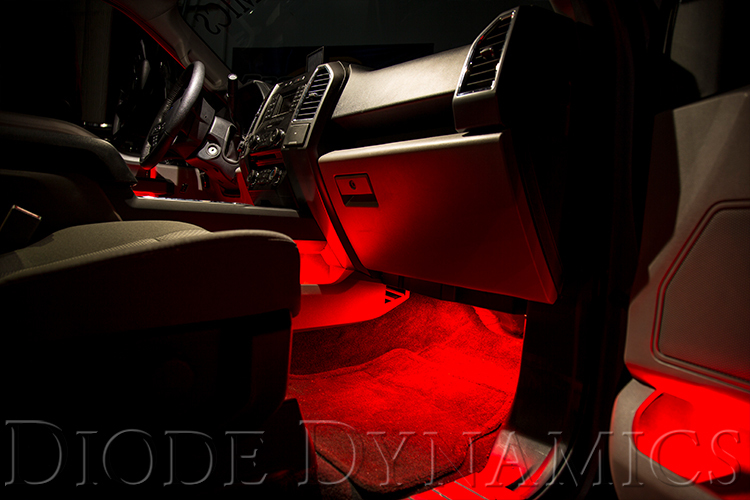 Solstice Footwell LED Kit! RGB Multicolor & Single color options! Control w/Phone! Looking to add a fresh look to your Pontiac Solstice? 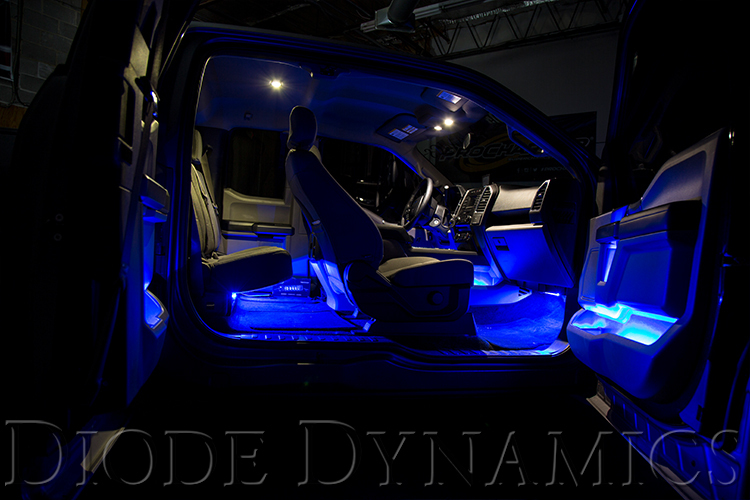 Diode Dynamics' Footwell LED kits are the way to do it! By adding bright LED strips under your Solstice's dash, you can add a lot to the look of your Solstice. 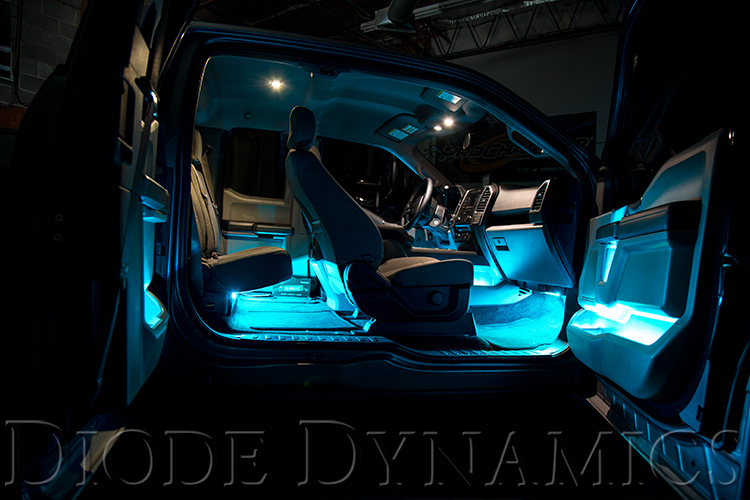 Diode Dynamics has been producing and designing easy-to-install LED kits for nearly a decade, and this kit is no exception. We have designed new LED strips to be used in this kit, which are highly flexible, IP67-waterproof, and long-lasting. 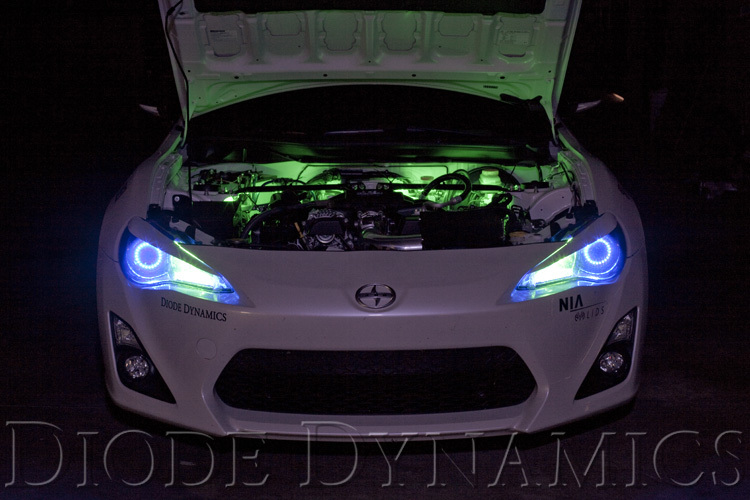 This kit also uses Diode Dynamics' RGB Multi-color products! You can change the color to fit your mood, or adjust the brightness to your preferred settings. Last edited by Diode Dynamics; 12-21-2017 at 10:20 AM. 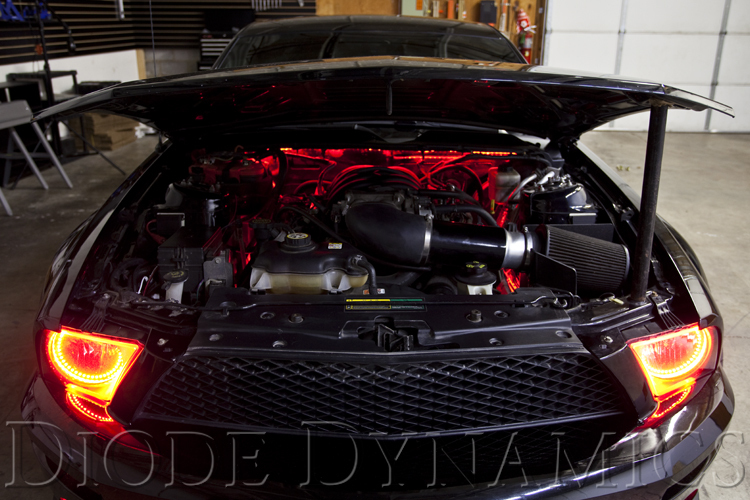 We just added an Engine Bay lighting kit to our site. It will be plenty bright to show off your engine bay and is easy to install. Most vendors would include a link to a product on their site so a customer could easily find it. Never mind then, because I went to your site and couldn't find it. I'll look at other options then, thanks. I looked at the under hood lights and while they are very nice, I am looking for high intensity spots that I can use to better light up the under hood painting. Bright enough to work in full sun light conditions. Because the hood opens forward, and generally the Punisher is parked facing into the sun to give the best natural lighting to the exterior artwork, the under hood area is generally in the shade. Its gloss black with a 4 foot punisher head in red with flames and as a result of ths shading and the high reflectivity, it is difficult to see at shows. I am looking to put a LOT of light up there . 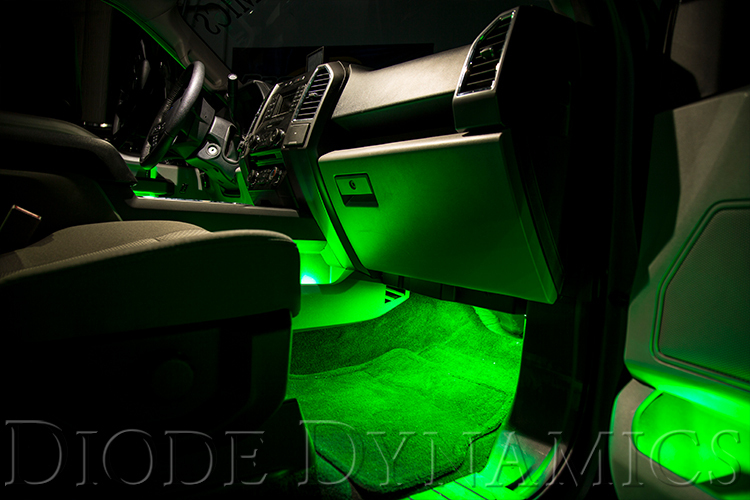 These strips are definitely more of an "ambient lighting" solution vs. a full blown spot lot. You might get the spot light effect you are looking for by adding one or two sockets in the engine bay somewhere and installing some LED bulbs, like a 921 or something. Feel free to pass this on up and down the chain of command if you wish. I want you to know that I and perhaps others really appreciate your companies involvement here. We know you ultimately want to sell some bulbs; but I for one find it refreshing to gain knowledge that is seemingly unbiased (to my novice senses), and educate us about not only your products but especially on the testing proofs and things that should matter when looking for LED's etc. What you gain is an informed clientele that will remember your company. I've been to your site during one of the discussions where one of our geniuses pointed out a description mistake (methodology), and you or your company made no excuses, explained why you used the nomenclature for ease of understanding, but fixed it so the information was technically correct. This too bodes well in building trust and I wish all our vendors took that path. No doubt this is the harder "sale" but is the most noble sale to gain valued repeat customers. I wish you all the best in your endeavors if you hold true to that paradigm. In short you guys are doing it right, and I just bookmarked your site. Thank you for the kind words Solo! We are actively looking for a Solstice here in St. Louis to come in for product testing and comparison photos. It takes some time, and we got on the forum early to help members learn about lighting. If you able to make it, come say hello!